I am well aware It’s been more than two weeks since the last one of this series, thankyouverymuch. I’ll get the hang of it, promise! This post features a new blogger Erin over at BrokeMillennials, who was lucky enough to live in a bunch of different countries throughout her childhood and teens. She now resides in New York City and is scheming on her next global adventure with a twentysomething budget! The rest is her words. Tell us a little about your deal – who you are, where you come from! My name is Erin Lowry, I’m 23 and 11 months old and I hail from, well that’s one of my least favorite questions. As an expat kid or TCK (third culture kid) as we call ourselves, answering that is a nightmare. My standard answer these days is North Carolina, even though I haven’t lived there in 13 years. I was born in Houston, TX and lived there for a solid three months before landing in Reno, Nevada and before I was speaking in proper sentences I had been taken to Gastonia, North Carolina (near Charlotte). 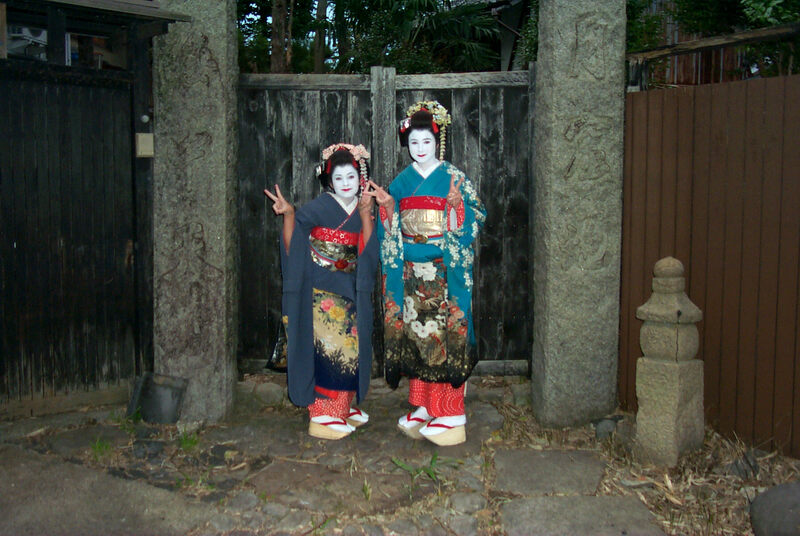 I spent my early years as a Southern Belle with Yankee parents until I was uprooted in February of 2000 at the age of 10 and we made the big move to Kobe, Japan. We were only supposed to stay for three years and have me back in time for my freshman year of high school. I didn’t come back to live in the US until college. Dressed up in traditional garb! I fell in love with Japan and still consider it my home. So much growing up happened for me there from 10 (we moved in the middle of 5th grade for me) until 16 at the end of my sophomore year of high school. My family had been told we were heading back to North Carolina but when my parents were house-hunting in Charlotte in April my Dad received a call not to put an offer in on any houses. A few months later all our belongings were shipped to Shanghai, China. I lived in China my junior and senior years of high school. I graduated high school from Shanghai American School in 2007, my sister graduated in June 2010 and my parents finally moved back to Charlotte in November of 2010, after a decade of life in Asia. What are your earliest travel memories? The very earliest memories are of going to Florida for Easter vacation, but my first international excursion was at age 9. My Dad had been doing a substantial amount of international travel for work and had racked up quite the number of frequent flyer miles. For my 9th birthday he told me I could pick anywhere in the world to go and he’d take me as a father/daughter trip. Because he’d spent so much time traveling to Japan, that’s where I picked. When we ended up moving there a year later I demanded a refund. That trip had a lot of really special memories for me. My Dad arranged for me to spend the day at a local Japanese school. I wore my St. Michael’s School uniform and just remember having to use sign language and drawings to express things to the other kids. We didn’t speak the same language, but we still had a really fun time at recess. Plus, at age 9 I’d already gone through a big growth spurt and towered over most of the Japanese kids at 5’1. I also had blond hair, blue eyes and extremely pale skin. They really enjoyed just staring at me. I remember learning extremely quickly that if I said I liked anything in a store one of my Dad’s Japanese business associates would immediately buy it for me. Japanese are really big into gift giving when trying to establish relationships. My Dad figured out pretty quickly what I was up to and put the kibosh on all my swag. The vending machines that dispensed ice cream were also extremely exciting. But, the most vivid memory of all was one of the most traumatic experiences of my international life. There was one major flaw in my Dad’s father/daughter trip plan, he clearly couldn’t go into the public restrooms with me. On one of our drives through the Japanese countryside we stopped to use the bathroom. I walked into a stall and became very confused. There didn’t appear to be a toilet, just a porcelain hole in the floor. I opened the doors to all the stalls in the place and just saw floor toilets over and over again. Clearly, I couldn’t get my Dad’s help so I just attempted to squat down and use this strange contraption. Without too much graphic detail, I will say this was not particularly successful and my black, umbra gym shorts ended up a covered in my own body fluids. I ran out of the bathroom crying. This was so scaring that I didn’t even attempt to use one again until I was 16 years old and on a Habitat for Humanity trip in the rural area of Yunan, China where western toilets absolutely do not exist. I am now an absolute master. 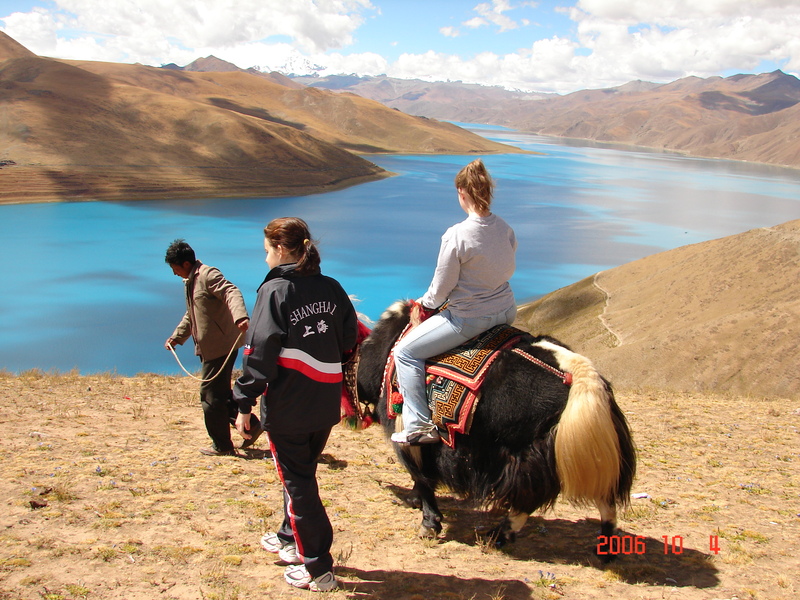 How did you perceive living in new places while young? When we moved I was old enough to remember my “American culture” and have ties to my home country. Compared to most kids in my international school(s) I was a bit of an anomaly. Most kids started the expat experience much younger and had little to no understanding of their mother land (my sister was 7 when we moved and didn’t really “get” American culture until she moved back for college). But, being 10 I was also adapted pretty quickly. The first few days included a lot of crying, door slamming and confusion but once I started school I got over that pretty quickly. Japan is a wonderland for kids. It’s safe and has public transit so at the age of 10 we were taking off to the movies, malls, pools and other hang out spots without needing our parents to pick us up or drop off us. Being a Caucasian American in a homogeneous culture also put me in a huge minority both in public and at school, even though it was an international school. 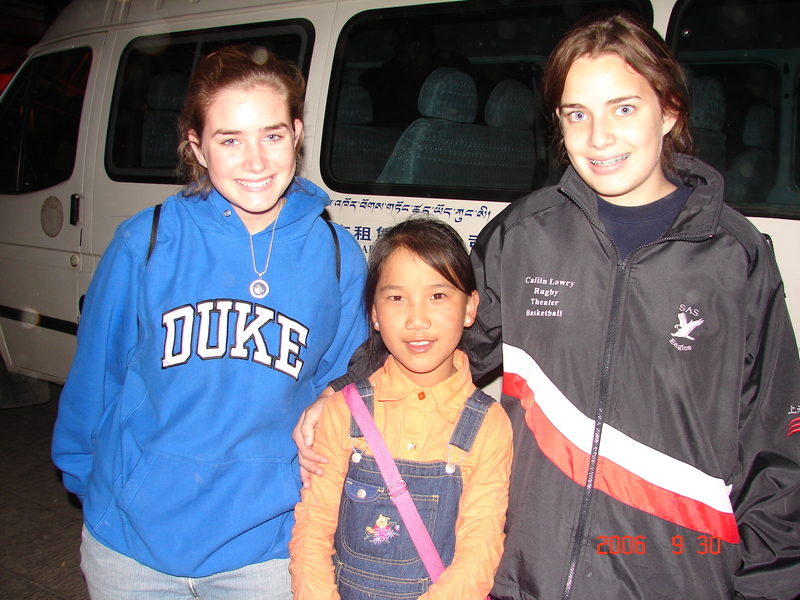 It was a strange feeling at first, but it also gave me the sense of being “special.” A common situation for European and American expat kids in Asia. Moving to China was a bit of culture shock. It was so different from Japan and I missed the organized public transit and rigid structure of Japanese culture. I was 16 when we made that move though and had been to China a few times before so I wasn’t as baffled as the first move from America to Japan. Bring us through a few day’s itinerary on one of your most memorable trips. My mother was always the itinerary planner and I regret that I don’t have her detailed plans saved anywhere. I’m sure she does though. I’m in the Duke sweatshirt! My parents always took our requests and incorporated them into our plans. They also were dedicated to truly exploring countries. We didn’t just do Australia one, we did it six times and went to new cities and towns each time. I have a great memory of exploring Kangaroo Island in South Australia. First grade teacher went to Kangaroo Island and I thought that sounded like the coolest place in the whole world. About seven years after I first heard about Kangaroo Island my Mom put it in our itinerary per my request. We explored the Great Barrier Reef, saw the New Years fireworks in Sydney, watched the Wizard of Oz on Australia’s Broadway with actors trying their hardest to sound American. We got to swim with dolphins in New Zealand, ride horses through the Outback and get up close and personal with puffins in Iceland. Clearly, we like animals. In Iceland my parents drove straight from the airport to the Blue Lagoon where we got to relax after our flight and soak in the world’s best skin exfoliate. It’s hard for me to remember full days from all our international adventures. Instead I have a highlight reel in my head of favorite moments, be it a water village in Halong Bay, Viet Nam, walking the Great Wall of China or dining in an old Irish castle. What is the craziest person you’ve met while on the road? Tell of a stereotype you thought about a place and how your perspective may have changed. The cliche answer would be Paris. In a combination of expat kid and broke millennial fashion, I cashed in half my frequent flyer miles to take a trip to Paris my senior year of college. A good friend from my high school in Shanghai was taking a semester away from Cornell to study in Paris. I went to visit her prepared for all the American stereotypes of French people disliking us and identifying me immediately as an American before I even opened my mouth. Truthfully, I had nothing but a grand time in Paris filled with pleasant people. I even tried my hand at ordering for myself in French at most restaurants and didn’t get a single sneer. Having never spoken a lick of French before visiting I knew my accent was atrocious, but everyone I interacted with seemed to at least appreciate the effort. In my chances to travel I’ve really learned to always attempt to speak a few words of the native language. 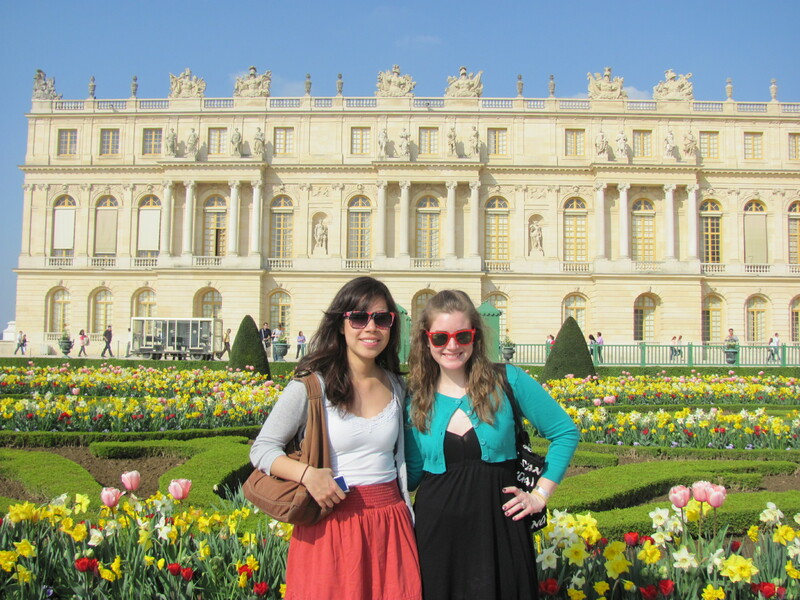 With a friend in Versailles. Growing up as an expat is something I value and credit for a lot of who I am today. Even thought it meant constantly losing friends to moves and never really knowing when things could drastically change, I was able to have more travel and cultural experiences by 18 than most people experience in a lifetime. It’s also a lifestyle I hope to get back to one day. Even now, it’s hard for me to image staying in one place for longer than three or four years. Thanks so much Erin! You can check her blog out here and follow her budget adventures at @BrokeMillennials. In the next few days the Texas series will continue. Feel free to reach out with your own great travel stories (even if they’re just dream right now!) I love chatting travel. Thank YOU! Look forward to your amazing posts! 1. There are astonished places to visit in north west of Iran, such as Tabriz, Ardabil (which I live) and Sarrien which it’s a town 20 km away from Ardabil with famous and attractive spa, mountains, waterfall and environmental, and briefly this district cool weather in the summer. 2. Visiting Tehran as cosmopolitan city and accustoming with people in Tehran would be nice experience. Furthermore, there are other well-known ancient and historical palaces in Tehran, such as Milad tower, Masoudie Palace, Golestan palace, Green House, national museum of Iran, Niavaran Park (a little similar Hyde Park in London) and etc. 3. when you spend your free time in Tehran, it would be much better visit Yazd. It’s city is located in center of Iran. It’s one of the historical cities, in Iran that I personally believe every body should visit it. 4. The other most beautiful cities consist Isfahan and Shiraz. I don’t want explain about these cities. There are many information in the internet respecting these ancient cities. Two weeks later, I’m going to visit Shiraz with my colleague’s family. If you like, I’ll send photo from there. Hope to meet you in Iran, and have a nice trip to Sri Lanka.